Agent M is joined by Editor-in-Chief C.B. Cebulski to talk “Marvel Comics” #1 (1939) and Marvel Comics' beginnings. 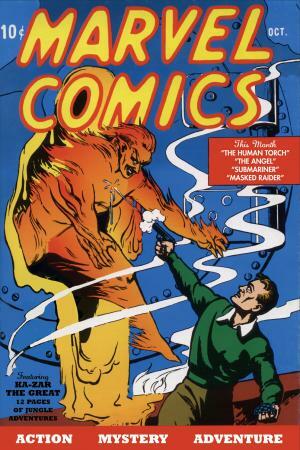 Timely Comics’ first publication introduced the Human Torch, Angel, Namor the Sub-Mariner, and more into the world. Share your comments using #TWIMURC and join us on January 30, 2019 for the This Week in Marvel podcast!